Young Alice happens at the very start of this novel to eavesdrop on a rather heated exchange between her father and a fairy. Not your ordinary run-of-the mill fairy, but a two foot tall fairy with enormous wings and a “mouth full of needle-like teeth, and a long red tongue like a snake’s”. This exchange is just the start of many events and action which just keep happening. As with many good adventures it isn’t long before Alice is suddenly orphaned and forced to live with strangers in a very strange place. Alice finds herself in a magical world where cats can talk and dangerous creatures invade the pages of books in a very large, dark and mysterious library. There is the very quiet, mysterious and waif-like Emma who attends to Alice but seems just as strange as everything else in Alice’s new world. 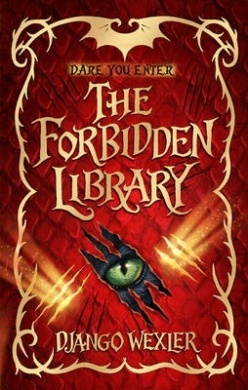 Then there is the library where books have their own secrets and dangers and Alice has no choice but to enter a fantastical world of adventure and danger. Trapped between the pages of the mysterious books Alice must find a way to survive and return to safety in the real world. The pace is steady and enticing and I had to keep reading. The UK edition offers some wonderful pen and ink illustrations from David Wyatt. The US edition illustrations are also very fine but I must admit I do prefer the UK ones. This is a great read for children 10-13 who love books, reading and adventure, with a heap of fantasy for good measure. If you want a taster of this novel check the author’s website here and read the first chapter.The trouble is you know you will want to read more once you start. The Vietnam war may be in the past but it can never be forgotten. It was, at the time a controversial war. Returning soldiers were not treated with the same respect as those of the World Wars. This sophisticated picture book is Schumann’s song I was only nineteen, put into pictures for younger readers to help them learn about the tragedy of this particular war. I love the scenes with the colours and tones that Craig Smith has used to take us right in to the jungle. We really are in the jungle with the soldiers. Careful use of sepia tones in some pages also bring in another dimension to the story. There is much to offer in this book, much to pull apart and mull over. While I am not a huge fan of songs becoming childrens’ books (and there are plenty these days) I do think this one works very well. There are some teacher notes available to help make the most of this book. I think upper primary all the way through to secondary school students could learn much from this book. I could see classes broken in to groups – those in one group watch the trailer and listen to the music and another group reads the book on its own. I would encourage the students to think about their reactions, feelings and compare the group’s responses. Food for thought!